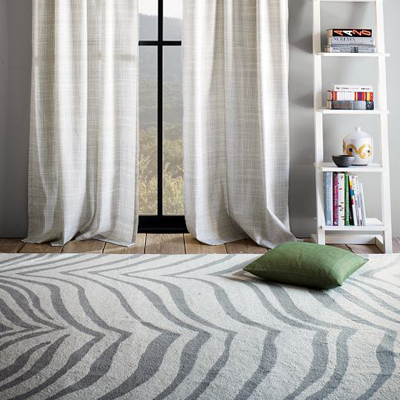 A study in exotic style, this durable, pure-wool looped Safari Wool Rug reinterprets the classic zebra pattern in contemporary shades of gray and ivory. $109-$749. Buy here.